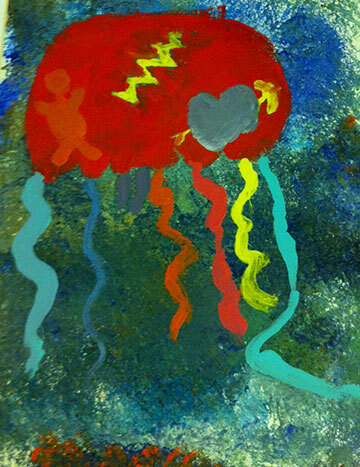 During this workshop, the kids dedicated almost all of their time to creating amazing pieces. 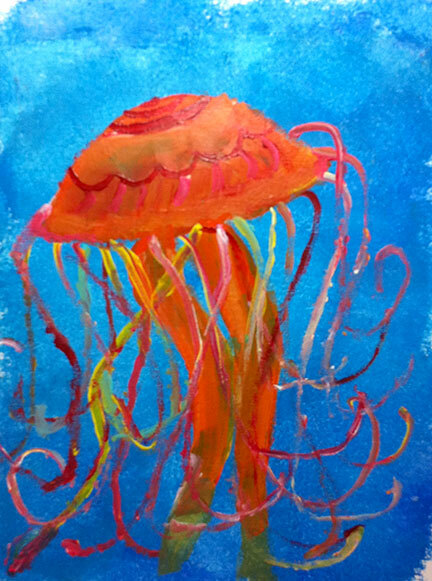 While their acrylic painting base layer dried they started their watercolor pencil and crayon resistant part. 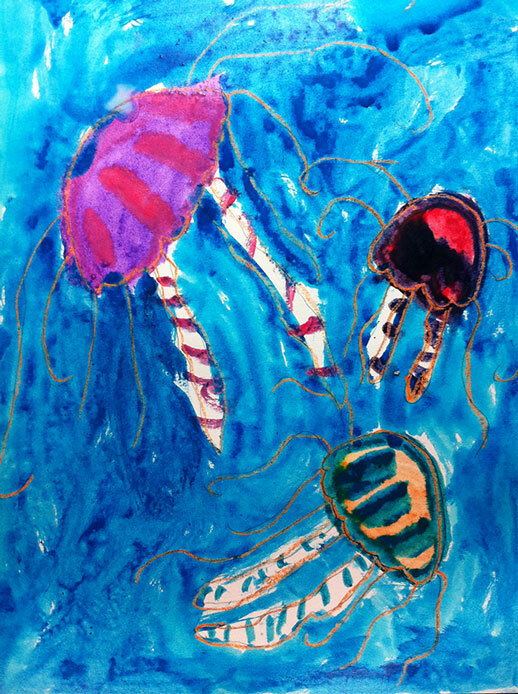 Both pieces subject matter are jellyfish. 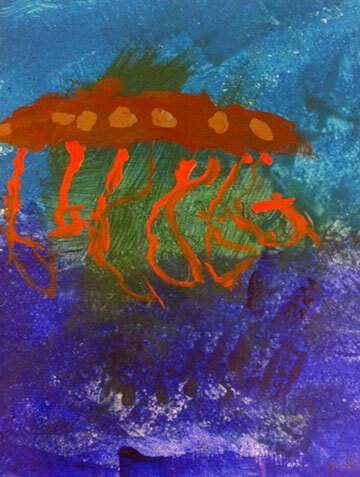 It was a perfect opportunity for the students to see how different the mediums worked with the same subject. 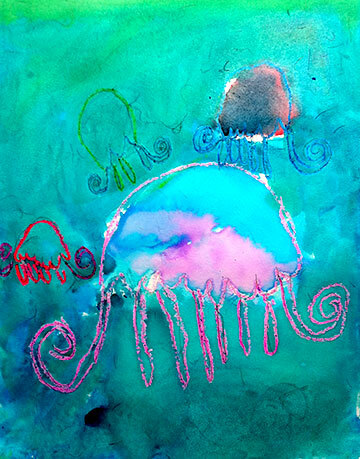 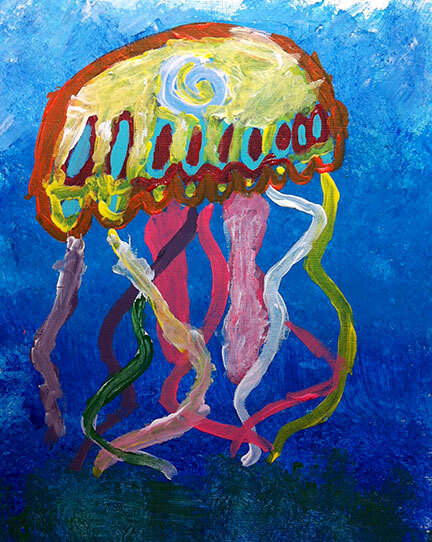 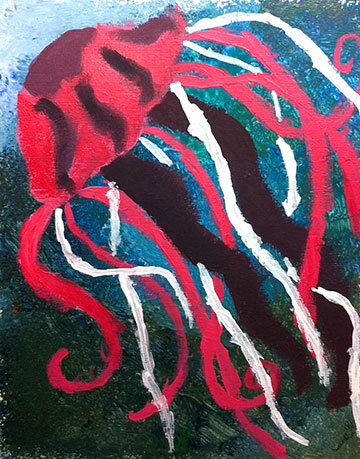 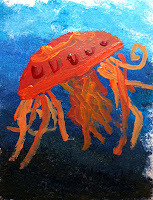 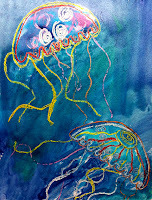 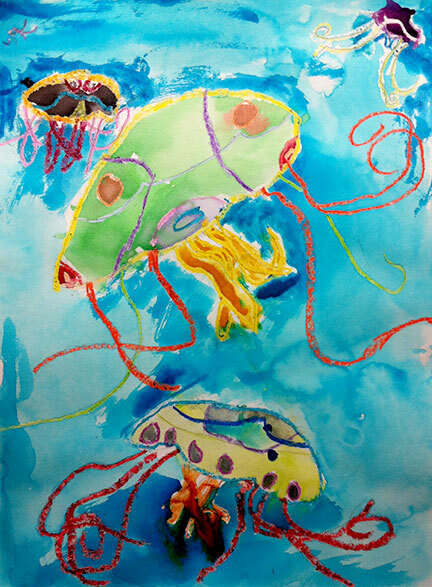 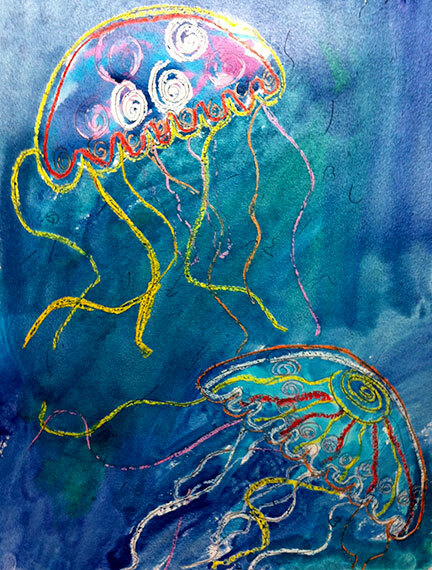 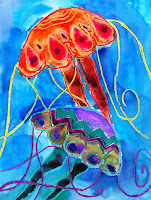 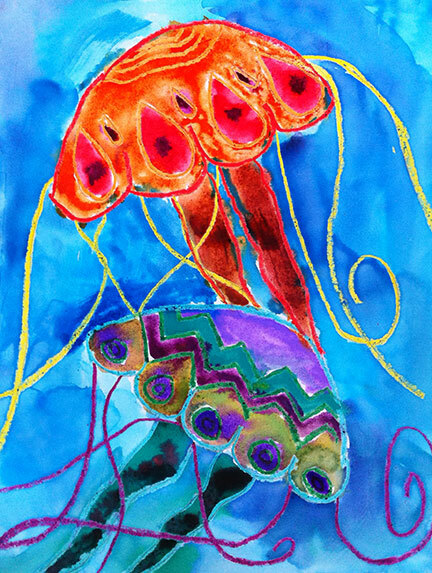 A jellyfish is a water animal, so painting it with a more fluid medium really works. 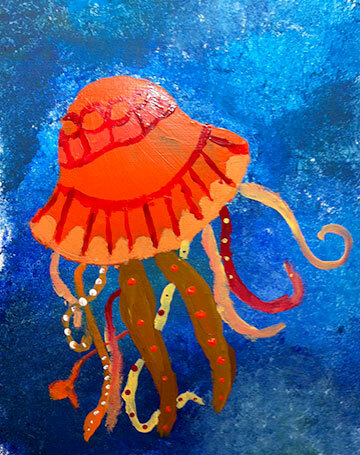 But, you'll be impressed by the acrylic results as well! 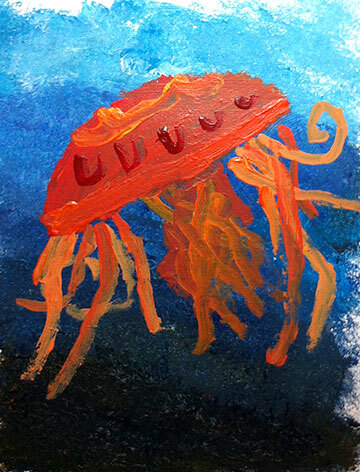 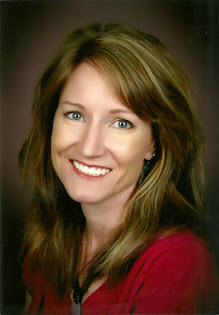 Here are the types of examples a student might accomplish in a three hour painting workshop! 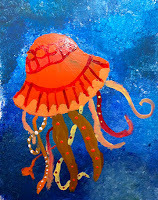 They are all acrylic. The method is teaching the students to work their painting in layers, and not looking at a painting as though it is a flat paint by numbers project. I create a new painting for each workshop, mostly because it is fun for me to create the example:) But I also create the example so that I know how to teach it. 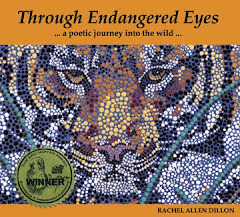 I love how giving students some boundaries help students stay focused so that they can explore their own unique take on a subject matter. 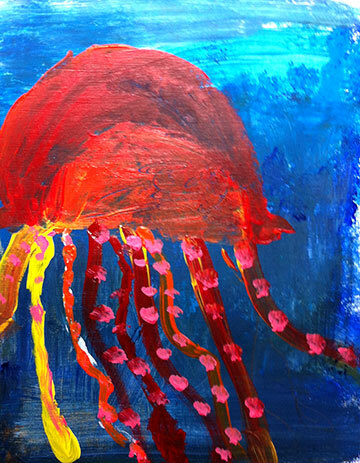 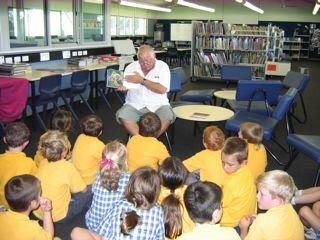 It can be overwhelming for young minds to sit down and have to start something from scratch. 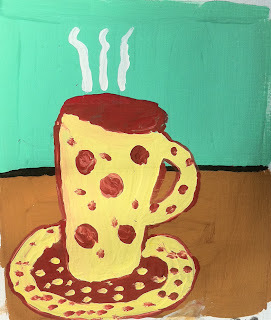 The students mix their own paints and draw their own piece, but are following an example, so every single painting is really an individual masterpiece. 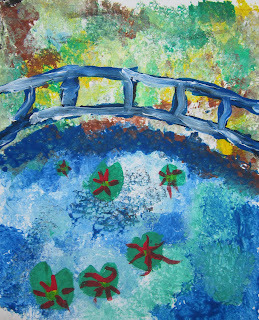 During the painting process we discuss composition, variation, rhythm, balance and technique.